Gilbane construction management team completed the project $4 million under its original estimated cost. The architect, HOK of New York, designed the new and old facilities to merge with the existing facility, which received a complete facade upgrade with insulated curtainwall. The project required deep foundation work of 30 to 40 feet excavations near existing structures. This site work was scheduled around special needs students to maintain access without class rescheduling. The logistics of the existing building due to the site slope has ground access at the 1st, 2nd and 3rd floors. 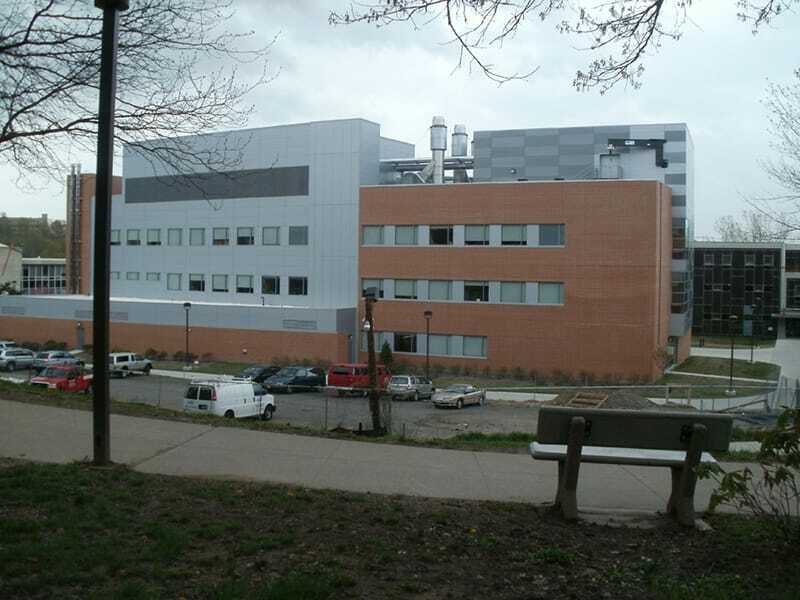 Construction was completed while the existing building was occupied; this work consisted of two lecture halls, four classrooms, upgrades to two air handlers and five boilers for the entire building. Careful planning and execution was pertinent to the successful implementation of the work that was done in the occupied area to ensure that the day-to-day activities were not interrupted.